Invincible (written by Walking Dead’s Robert Kirkman) is a likable teenager much like Peter Parker with Superboy level powers. Truth is, Mark Grayson has seen so much destruction since discovering his powers and taking on the baddest of bads that it may be time for him to hang up the mask. 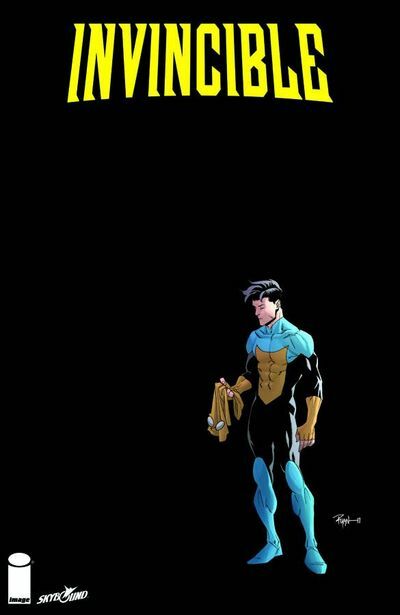 Don’t miss Invincible #84. 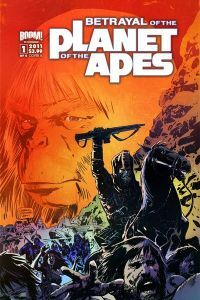 … Betrayal of the Planet of the Apes #1 is co-written and drawn by Gabriel Hardman (Inception, Incredible Hulk). Boom! Studios stays well within the original movie canon pitting General Aleron face to face with Dr. Zaius! … The publisher’s KABOOM! kids line is fortunate enough to welcome Charlie Brown and pals back to monthly all-new original comics with Peanuts #0 for a cool buck! Sounds like a great excuse to visit your local comic book store with the kids this weekend. … Picks this week from LeaguePodcast.com. Newer PostMC Frontalot Takes Rap ‘Nerdcore’ (11/9 @MidEastClub) from WBUR today!